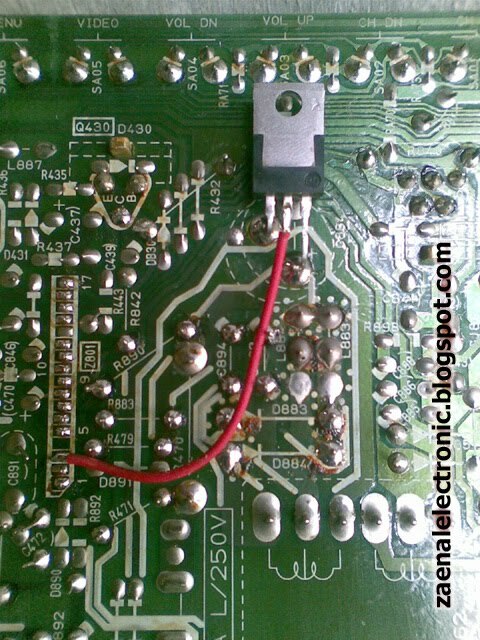 As the error amplifier output voltage to lock the SMPS, this function is most often suffer damage to the IC is not able to lock the SMPS output voltage. In a severe crash, the output voltage B + can be up to 160V without controlled / locked. HIC1015 designed for the B + of 115V while HIC1016 designed for 125V output voltage B +. As a gateway protection systems. Protection IC consists of palladium Over Current Protection (OCP), Over Voltage Protection (OVP) and protection ENT / X-ray. Auxiliary voltage stabilizer (9V5), auxiliary voltage is used by the blocks of audio and video processors. Agenda ON / OFF devices. 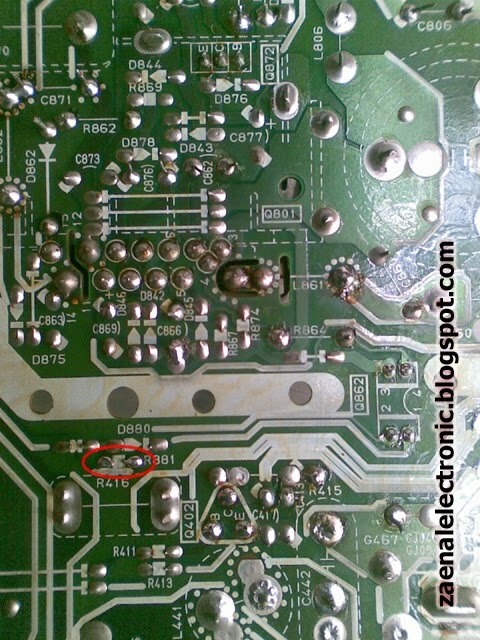 Since this hybrid IC datasheet found it difficult writer here trying to describe their functions away from HIC1015 based on observation of one writer on Toshiba TV products. Input Error Amp It also functions as a sensor input over current protection A. These pins are connected directly to the output of B + from the SMPS. Make sure that the hybrid IC can still be controlled ON / OFF by IC program. This can be marked with a TV can light up a few seconds and then back to standby again. When found physical damage (char / cavity), should not continue with the process modifications, parts with new ones. In BEG, make sure that 'only' block error amplifiernya just broken. 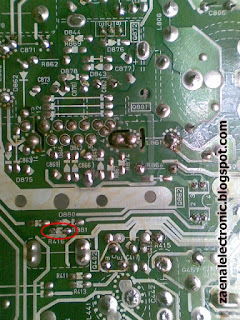 After the hybrid IC from the PCB, then crumpled / cut pin3 of the IC and then install again with pin3 is left is not installed / no IC in the former pin3 feet. Install the Sanken error (SE) with SE pin1 connected to output B + SMPS (positive leg Elko B + output), PIN2 SE connected to the container line and pin3 pin3 HIC1015 SE is connected to GND (negative distance Elko B + output). For more details, see figure 1. 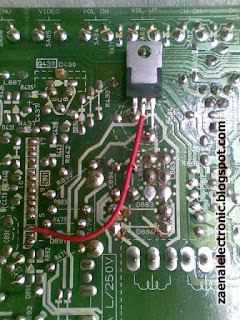 Install 4K7 resistor in parallel with the anode and cathode of the optocoupler feet. Actually quota for this resistor is there but the original blank (R881), see figure 2. Ready to try with lighted and measured output voltage. Sanken an error to replace the error amplifier. A KA78R09 type IC regulator, instead of auxiliary voltage regulator (9V) as well as a swith ON / OFF. Some resistors to support KA78R09 to be working normally. 0 Response to "Modify ERROR AMPLIFIER FOR HIC1015, HIC1016"